Backed by the excellence and expertise of our team of professionals and using the advanced technologies we have been to provide an exclusive collection of premium quality Horizontal Milk Storage Tanks to our valuable customers. 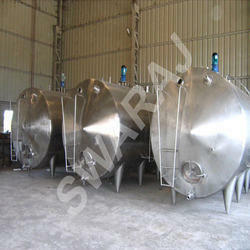 These Mild Steel Tanks are used in both medium scale and large scale industries. High-quality raw materials are procured at the time of manufacturing this equipment at our ultra-modern infrastructural unit. 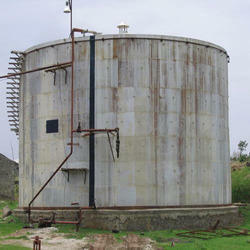 These Mild Steel Tanks are manufactured under the constant observation of our quality analysts. We are a proud organization engaged in supplying wide collections of excellent quality Dimple Jacketed Tanks to our valuable customers. The Dimple Jacketed Tanks that we offer to our customers are fabricated by procuring finest quality raw components and by using high tech machinery. 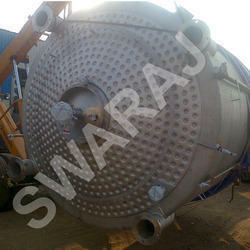 These Dimple Jacketed Tanks are used in industries for various applications. These Dimple Jacketed Tanks are widely in demand and well appreciated by all everyone for its reliability and optimality. Our development team strives hard to complete all the orders on time. Backed by the effort of our experienced and well-trained workforce, we are able to deliver a wide array of high-quality Molasses Tanks. Our Molasses Tanks are highly appreciated by all the customers for its optimality and durability. These Molasses Tanks are utilized in the sugar industries for carrying out various applications. Top quality raw materials are used at the time of manufacturing these products. The quality of the Molasses Tanks is put through a tough check by our work force in order to ensure fine end product.